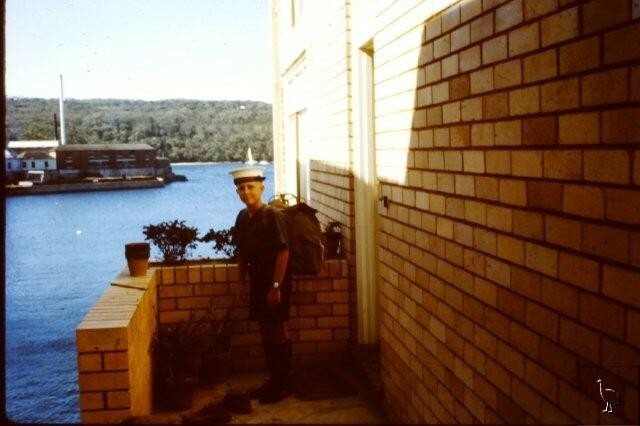 Possibly Greg, in a Sea Scouts uniform. Bruce Ave looking across to the Gas Works. Smedley Point, was it called?